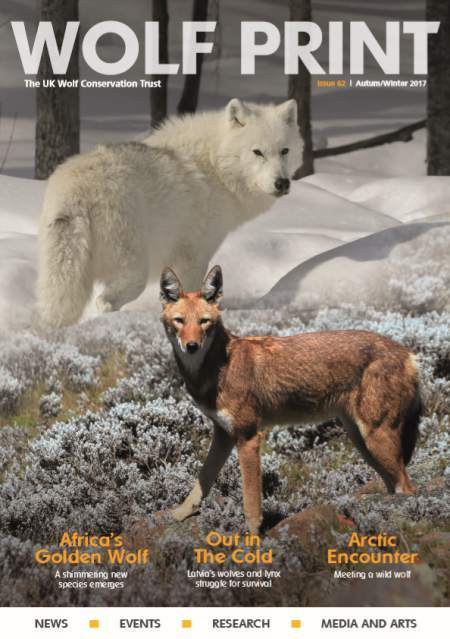 Wolf Print was the UK Wolf Conservation Trust’s internationally recognised triannual magazine. 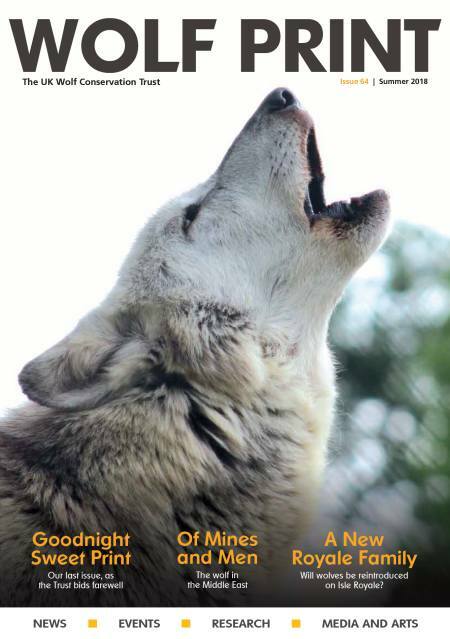 It brought up to date information on wolf issues from around the world. The magazine was issued three times a year and is available online. Please note all issues are subject to copyright and cannot be distributed or made available on other websites without express permission from the UKWCT. If you wish to let others know about Wolf Print, please link to this page. 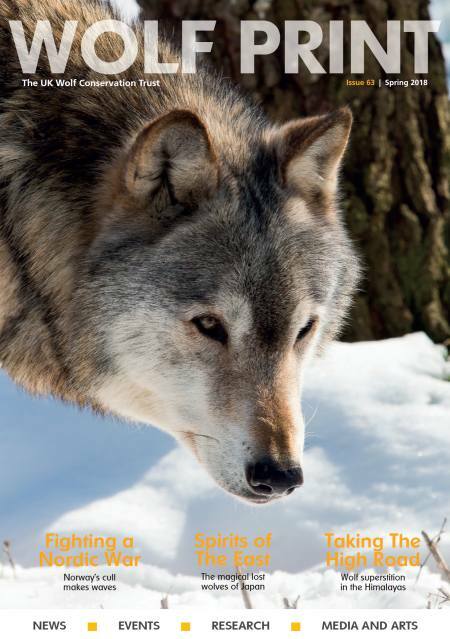 On behalf of the UK Wolf Conservation Trust we would like to formally apologise to Ian Redman for a written error in the previous version of Wolf Print Magazine Issue 64, where it was mentioned that Ian Redman had an OBE. This is an error made by our editorial team and for which we are deeply sorry for and for any upset or embarrassment which this may have caused. 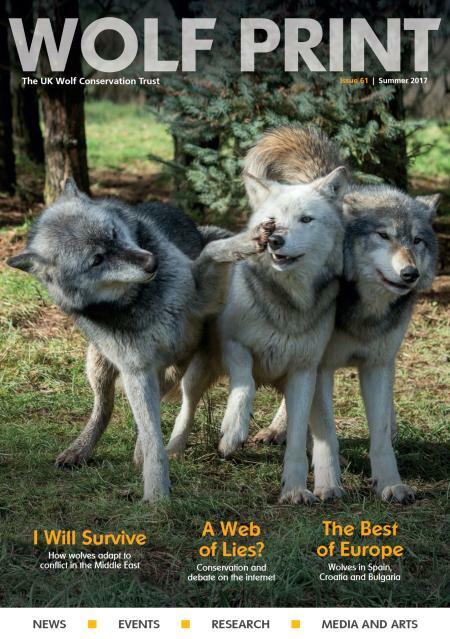 We have now rectified this mistake on our current online version of Wolf Print Issue 64. Click on an issue name below to download. The files are in PDF format and a free viewer can be downloaded from Adobe. Archive issues of Wolf Print are available online. The final magazine is Issue 64 - Summer 2018. There's much more besides, so why not download a copy and have a read! Witchcraft or just plain daft? Do conflict zones benefit ecosystems by shaping our interaction with wolves?